The Study Catechism was approved for use as a teaching tool for the church at the 210th General Assembly in June 1998. It provides commentary in question-and-answer form on the Apostles' Creed, the Ten Commandments, and the Lord's Prayer. The Study Catechism provides us with a distinctively Reformed and Presbyterian understanding of the Christian faith. Foundations of Faith works with the section of the Study Catechism of the Presbyterian Church (U.S.A.) that covers the Apostles' Creed. The course is divided into eight sessions designed to last seventy-five to ninety minutes each. 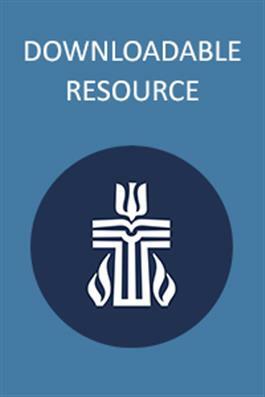 In addition to the lesson plans, the Teacher's Guide includes theological background material, Scripture references, resources for further study, and the catechism questions and answers. The accompanying Student Guide provides participants with the catechism questions and answers, Scripture references, background material, and guidance and space for journaling.